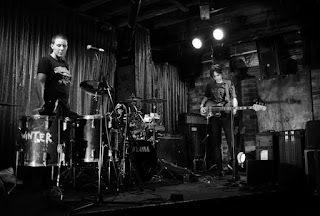 Sounds like a pun, but it isn't - it's 'Eulogies', the first track to be heard from Melbourne bass and drums post-punks Winternationale's upcoming album, out in the new year (it will also be out in 7" form on Almanac Recordings, with older track 'Shadows' taking up the back end). 'Eulogies' starts out slow and elegiac, a monochrome icebound soundscape, before the incessant, insistent drumbeat and bassline kicks into the fray. It becomes an altogether different beast, a metronomic purging of the soul, and bodes well for the future. The band have quietly hewn their trade, offering a distilled ball of lightning to all those lucky enough to have caught their sets. 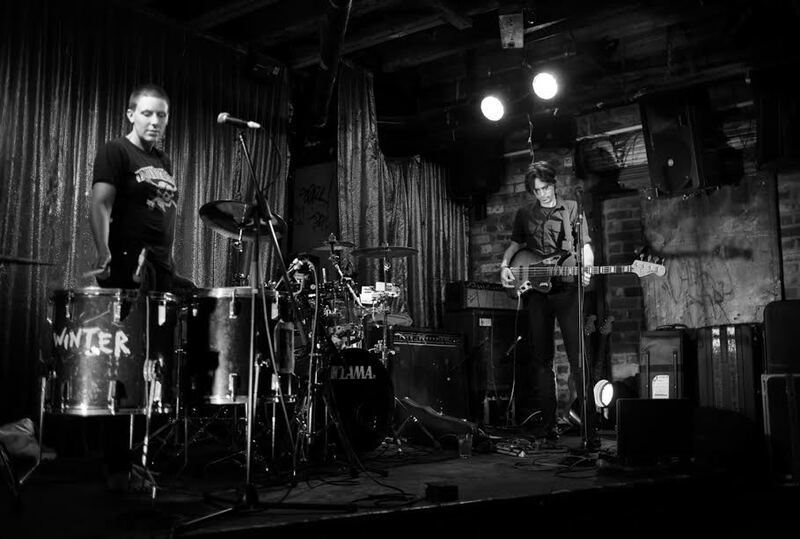 They have laid low this year though, writing and recording (some of which was done in Brisbane at Incremental Studios - Cam actually introduced me to these guys' sound a few years back). The single will be available via datacard which will also include a mixtape, video clip and the first edition of the duo's bandzine Storm & Stress - all of which you can pick up at the Grace Darling Hotel November 11 when they launch it with support from the excellent Great Earthquake and Mares.